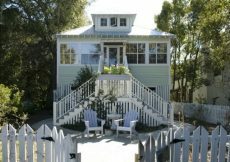 The Cutest Cottage By The Sea Ever! 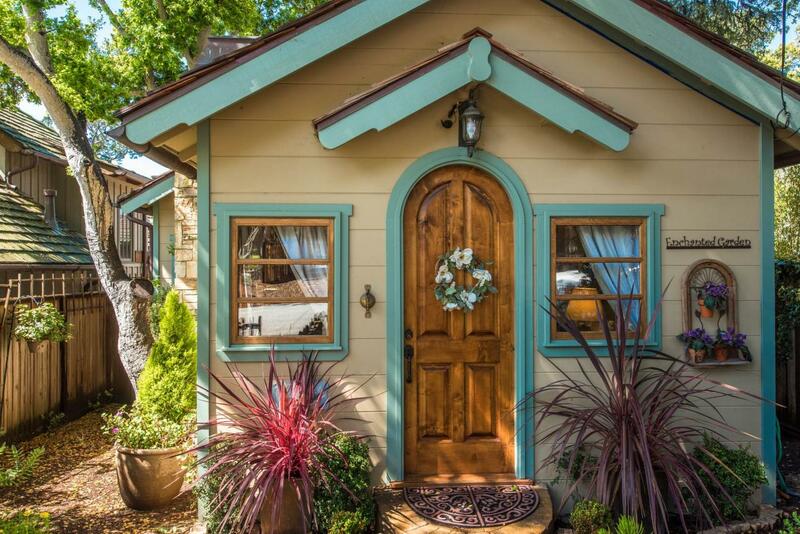 As soon as I saw this little cottage with its arched front door and teal trim, I wanted to hug it. 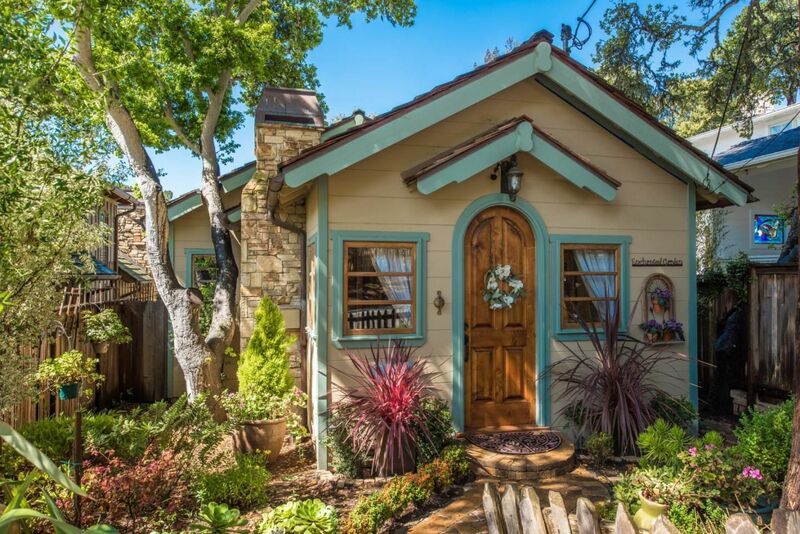 It may be the cutest cottage I ever found. 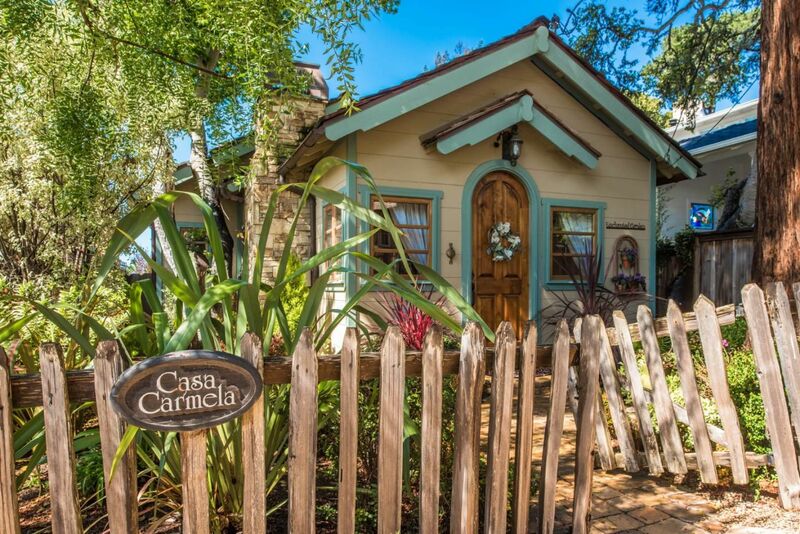 A lot of people must agree because I found out this little house called Casa Carmela is the winner in the category of Living Large in Small Spaces in the HGTV Ultimate House Hunt for 2017. 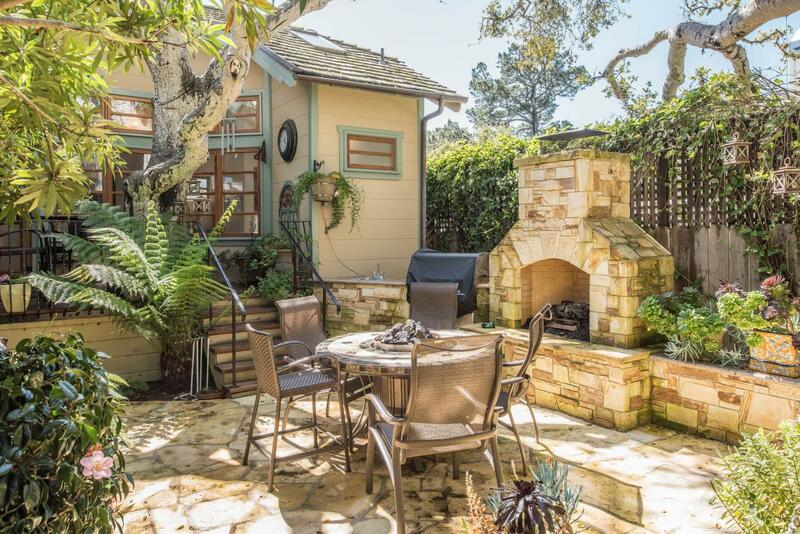 It is a cottage by the sea in Carmel, California in the Golden Rectangle within walking distance of the beach and the town. 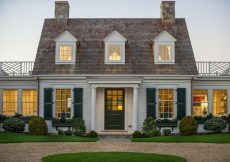 Rickety wooden picket fence in the front yard is a storybook curb appeal often seen in Carmel cottages. 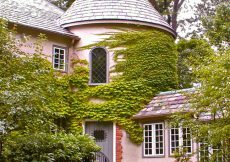 The arched front door and two little windows trimmed in teal with plenty of colorful plants look like a fairytale scene in a children’s book. 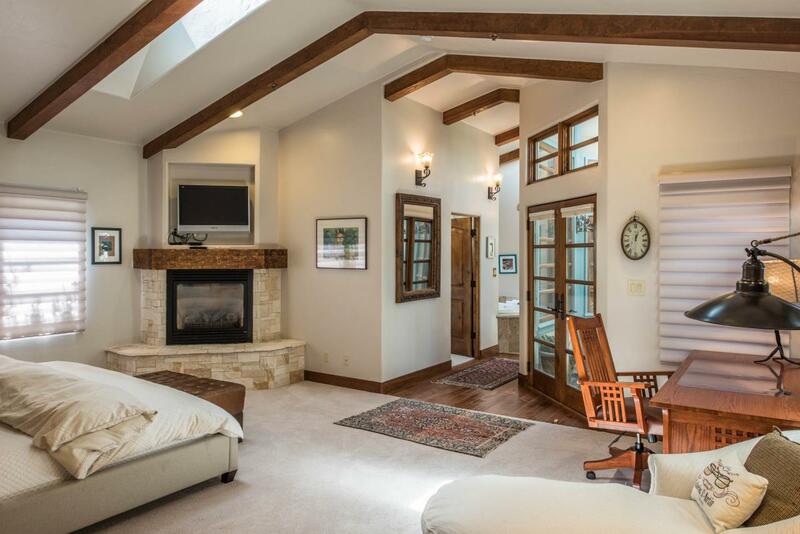 I love the awesome feature above the white stone fireplace wooden doors that hide the TV. 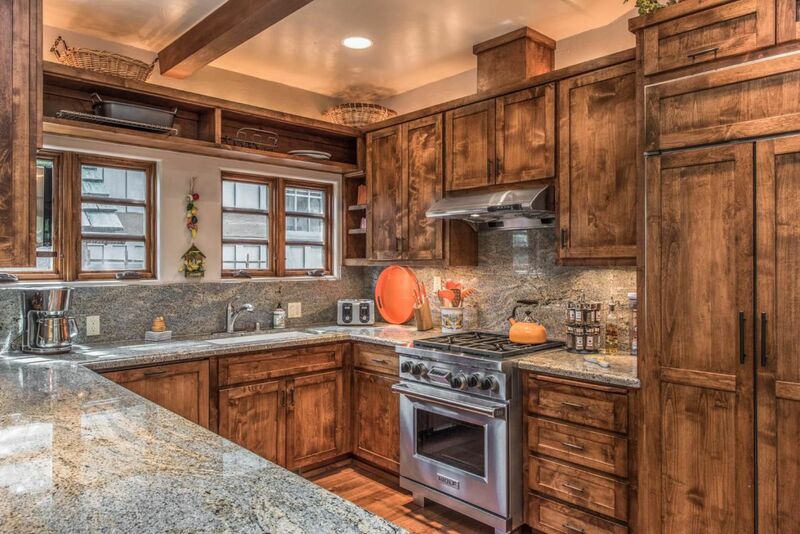 I’ve never seen wood kitchen cabinets like this before. They blend with the living room coffee table and mantle and have an almost shabby chic chalk paint look to them, but in wood. 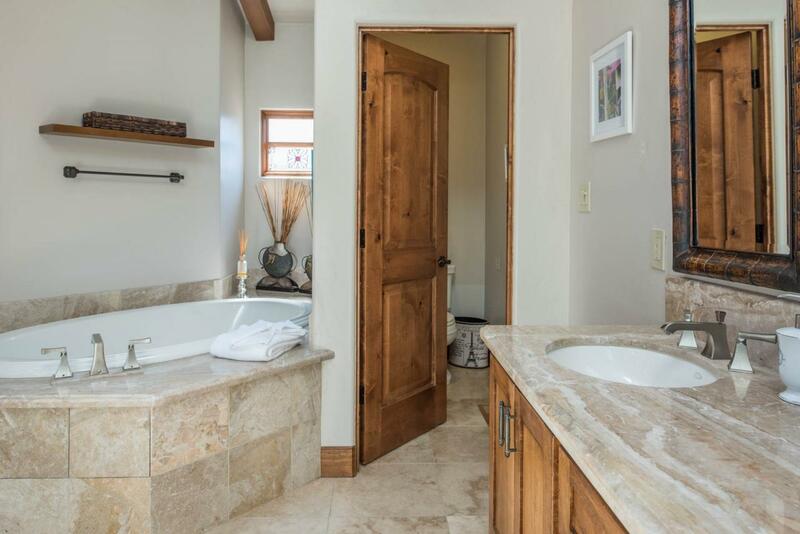 The listing says the doors and cabinets are Knotty Alder. 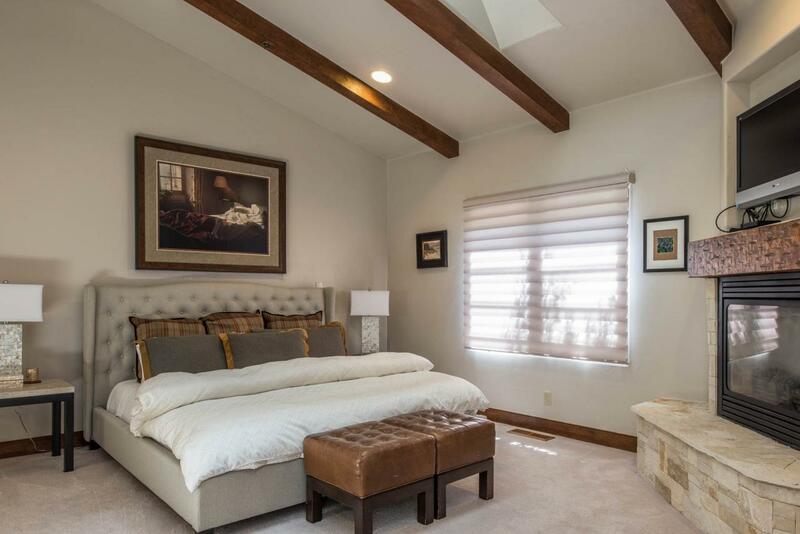 Master bedroom has a lovely corner fireplace and vaulted ceiling and skylights. 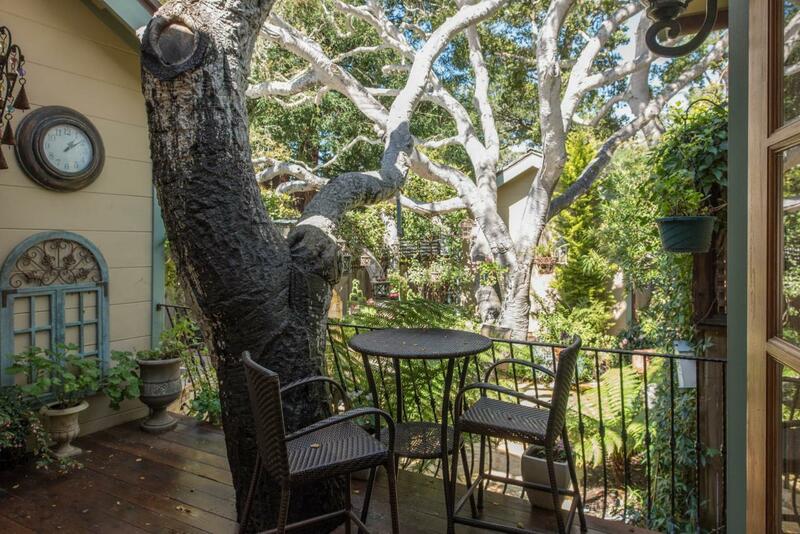 I would love spending time on the charming deck built around the gnarly tree. 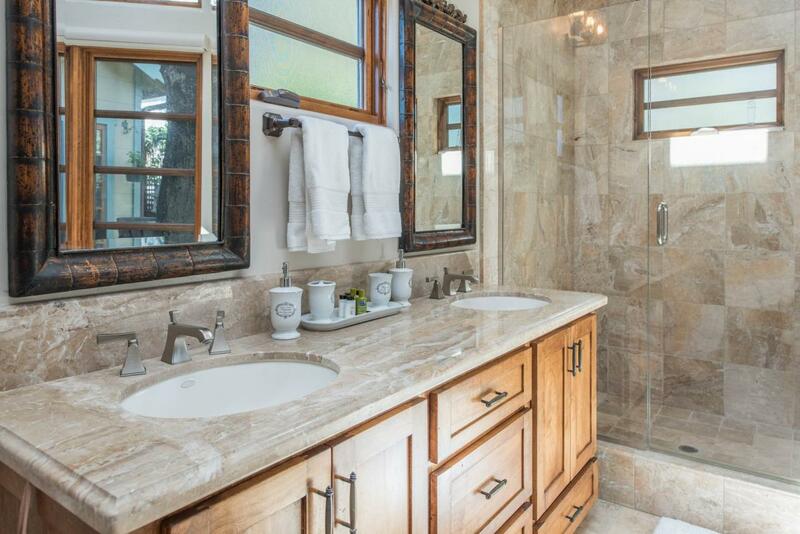 The shower and tub have beautiful stone tile. 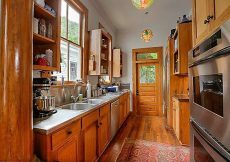 There were 10 houses nominated for the 2017 HGTV Ultimate House Hunt Living Large in Small Spaces category. 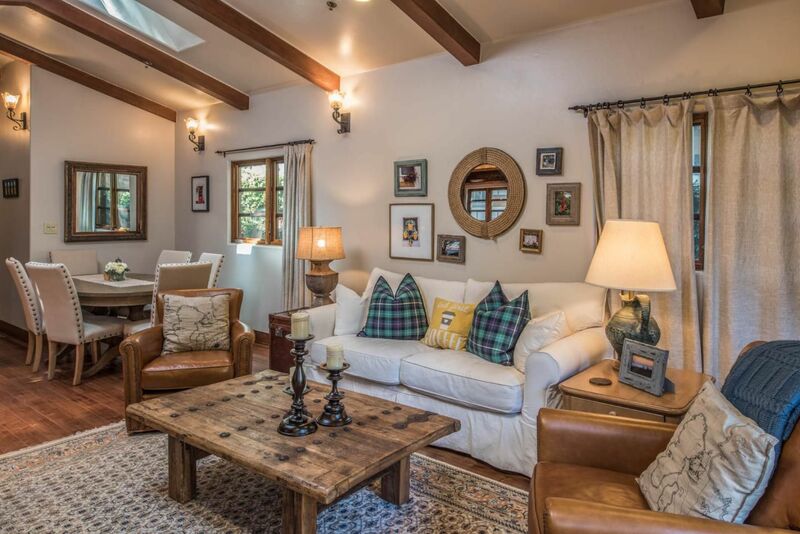 On HGTV this cottage is called Custom Island Cottage. 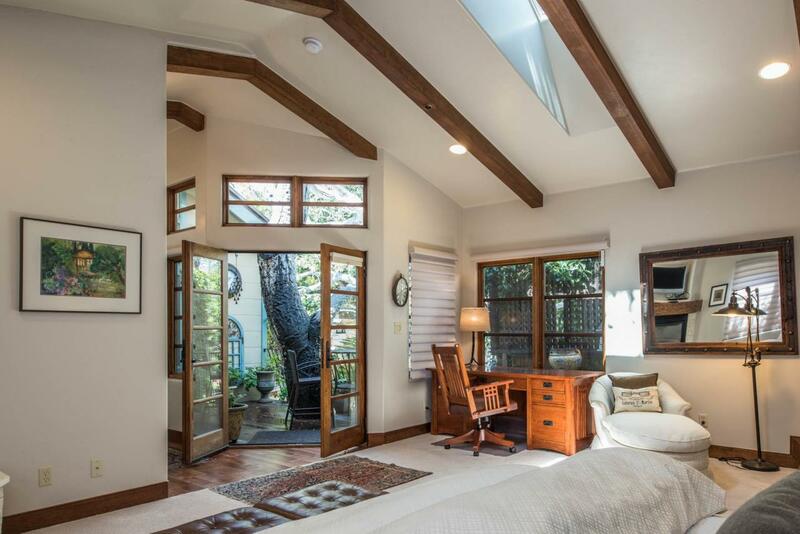 The listing on Monterey Peninsula where I first found out about this cottage shows it was custom-built in 2007. 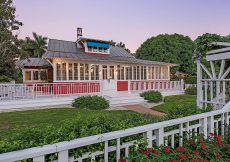 The listing price tag is $2,195,000. 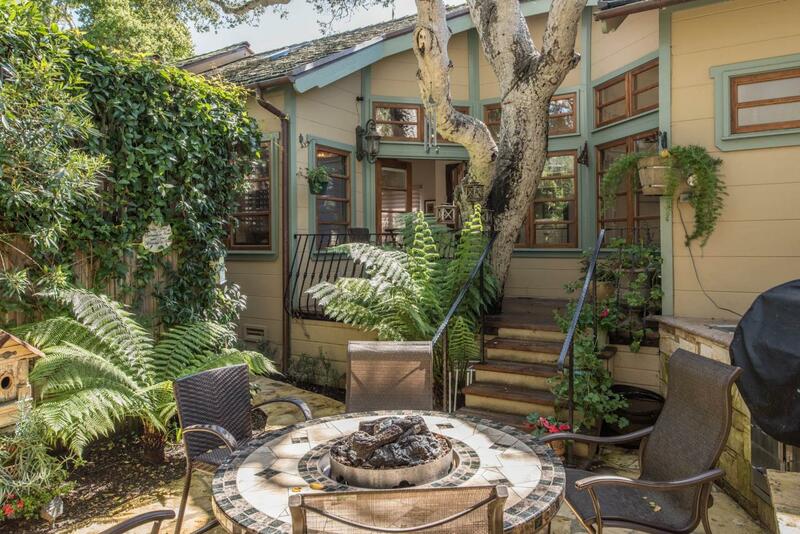 I adore this cottage by the sea house that exudes Carmel charm and can see why it won. 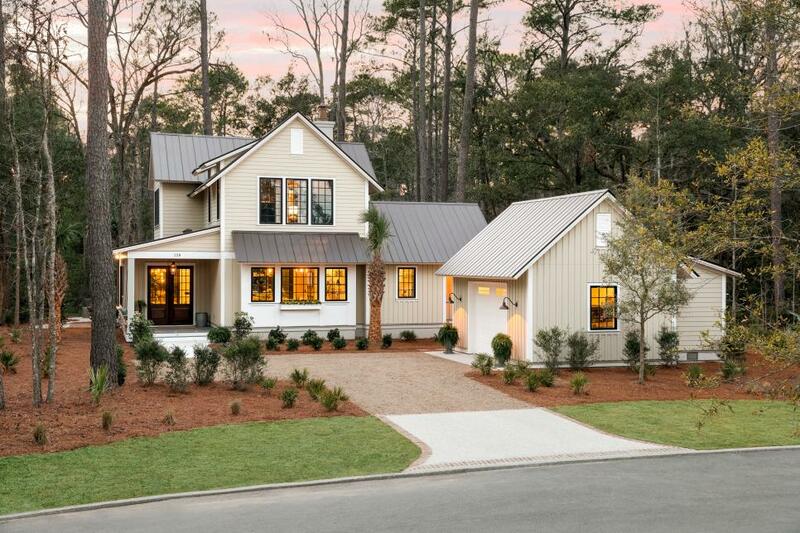 If I could I would buy it for its cute factor front face (OMG so cute) and just simple cottage style living. Great things come in small packages. 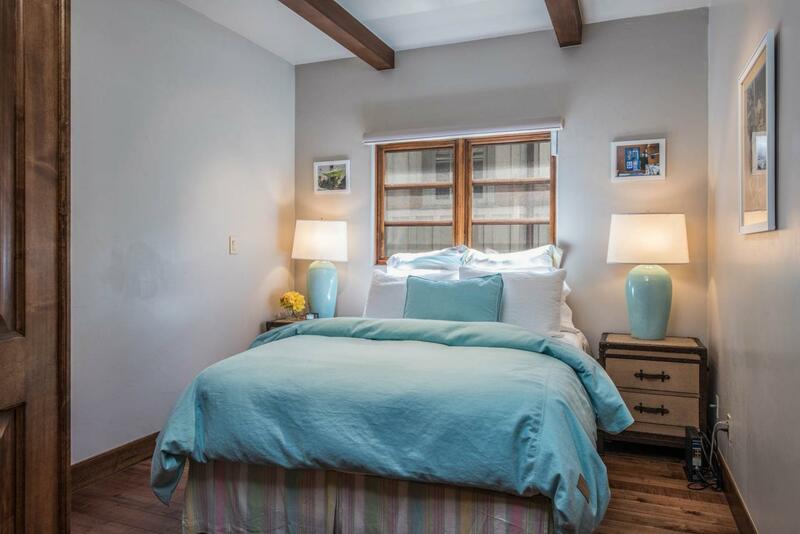 You can explore all the categories including all the small space homes living large homes too at HGTV Ultimate House Hunt 2017. 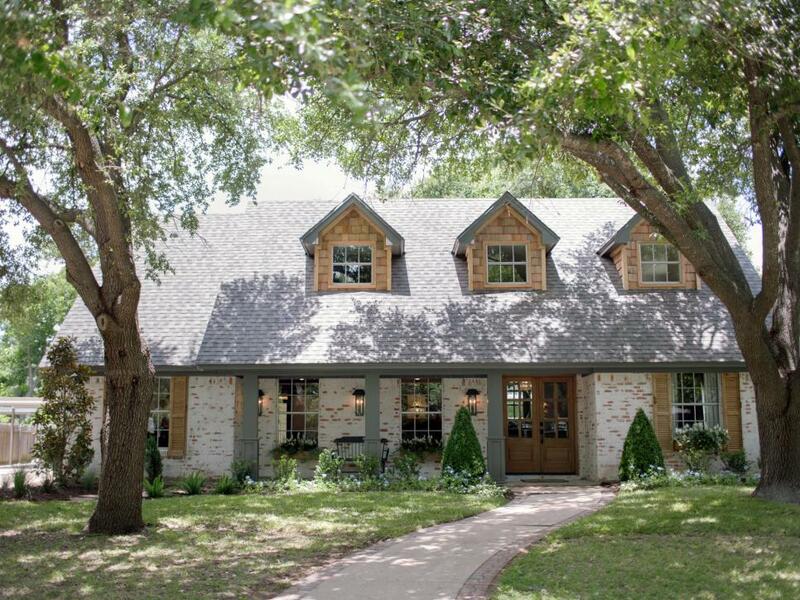 See the HGTV Fixer Upper Brick House and the Charming Farmhouse Style HGTV Smart Home too. It is amazing how little space we really need to live. 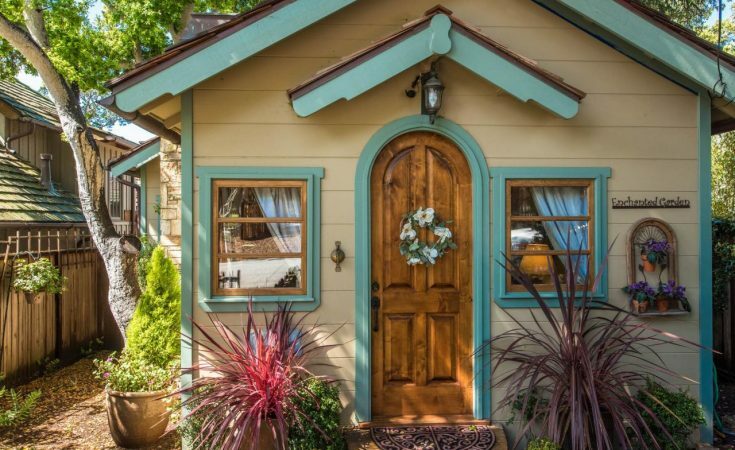 California beach cottages tend to be small because the property is so expensive. 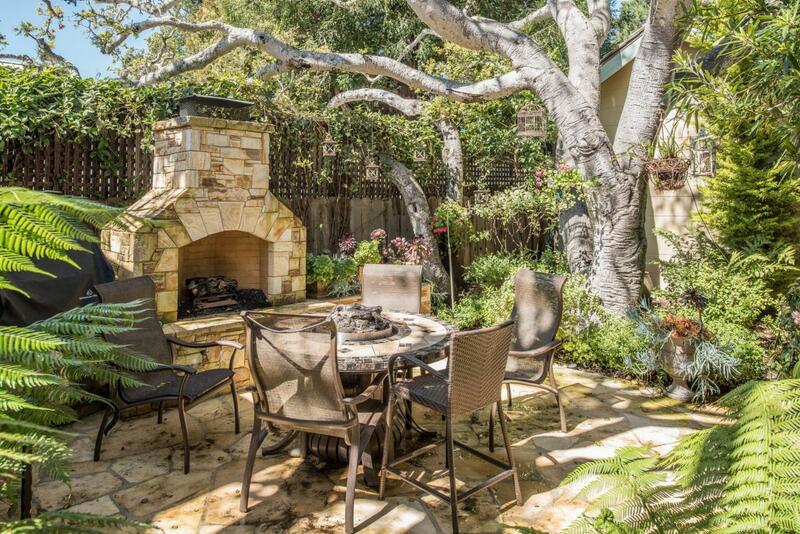 But, outdoor living is a big part of our life style and that makes the space not seem so small. 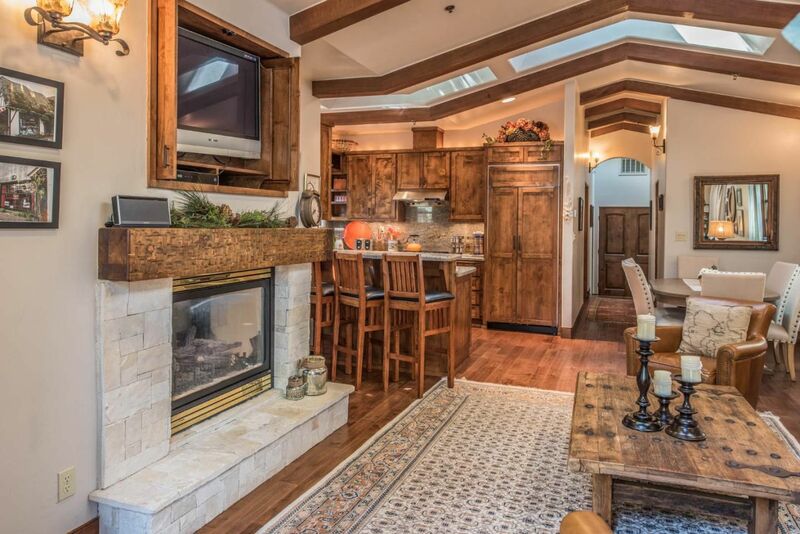 I think your cottage should be nominated for a category and it would win! 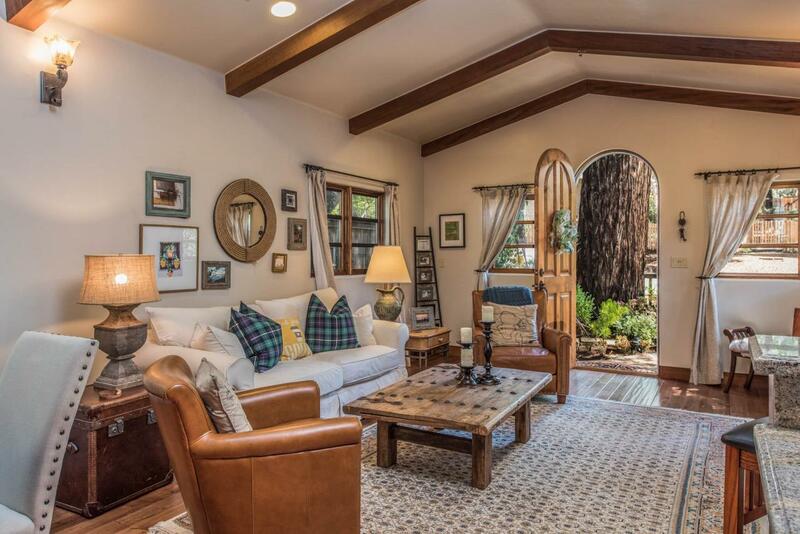 Lovely home, Sue. Sticker shock for sure but I can see why. 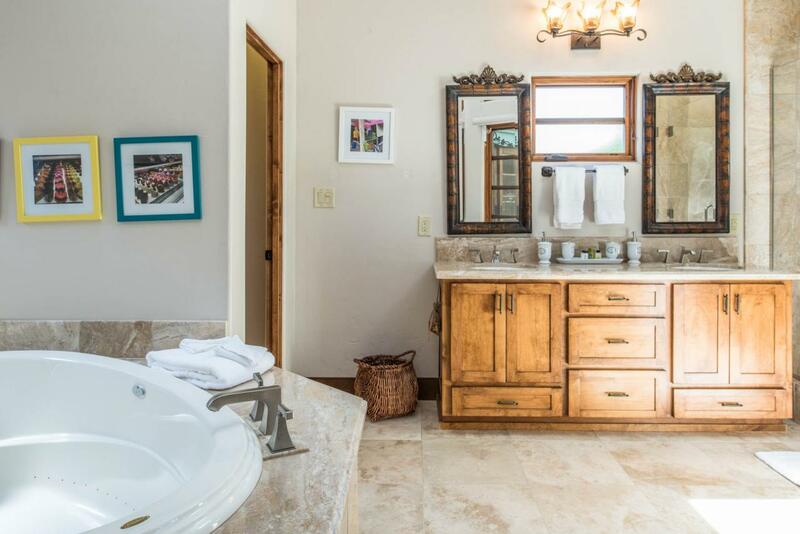 The kitchen and bathrooms are stunning. It does look so much larger on the inside. 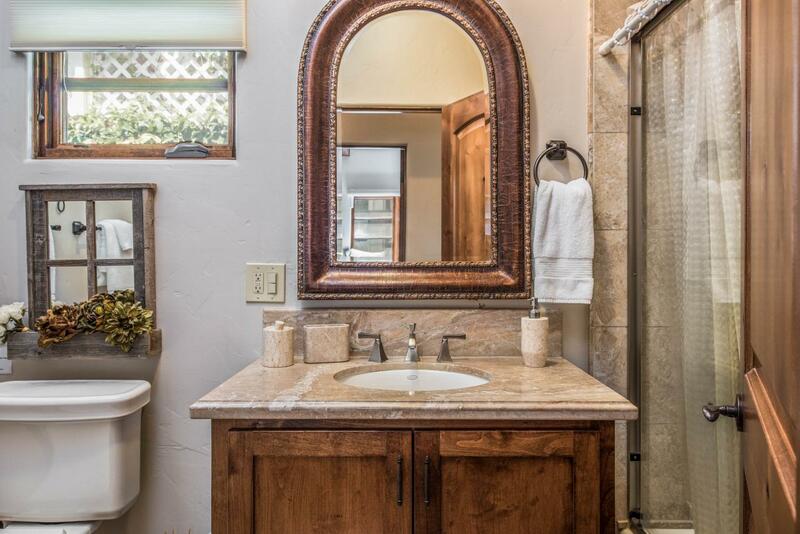 Wow, dreamy. 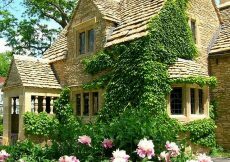 I’d love to live in this cottage. Can I join the tea party too? The more the merrier so of course you are the most welcome to join us for tea or coffee. 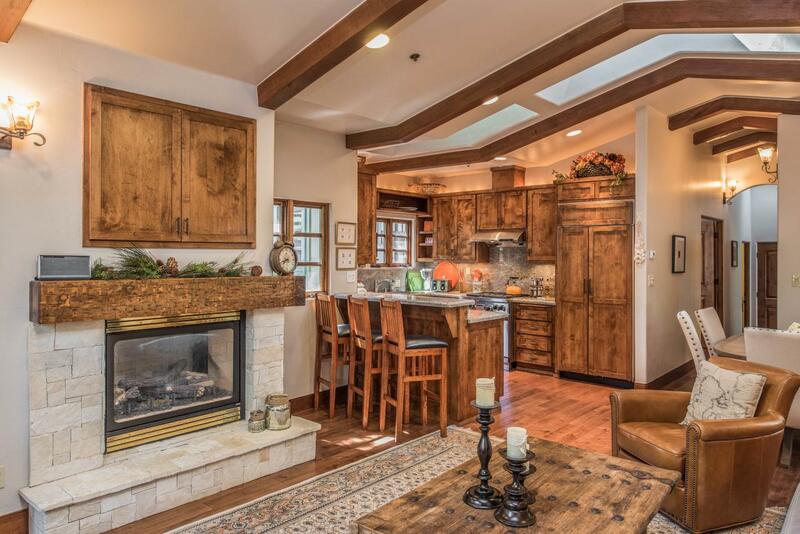 I am still thinking about the soft, rustic Adler wood cabinets in the kitchen. Oh you are too fun! I can tell we are kindred spirits. I like coffee with cream.